Barbie asks male friends to code for her in "I Can Be a Computer Engineer" book. Barbie has been an astronaut and a doctor, but when it comes to computer programming, she seems to need a man's help, at least according to a children's book criticized by many Amazon reviewers as "sexist." 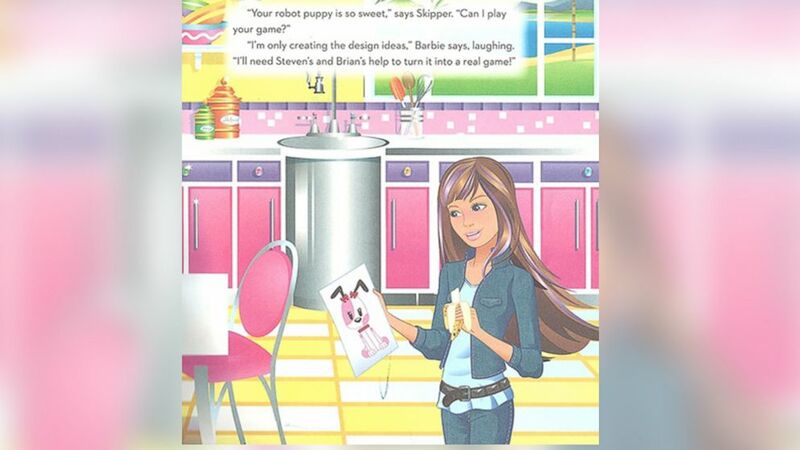 At one point in the picture book titled "I Can Be a Computer Engineer," Barbie explains that she's only designing "a game that shows kids how computers work," but she apparently needs the help of her male friends to code. The book, published by Random House, is intended for children ages 3 to 7, or preschool to second-grade, according to the Amazon description. The author, Susan Marenco, who previously worked at Microsoft Development Center Copenhagen for 10 years as an "editor and usability designer specializing in linguistic usability," told ABC News this afternoon she considers herself a feminist and regrets that she may have let stereotypes slip into the book. But the assignment was to write about Barbie as a “designer,” she added. “Maybe I should have made one of those programmers a female – I wish I did,” said Marenco, who is now a technical editor at a tech firm in San Francisco. Mattel has not responded to ABC News' attempts to confirm her account. 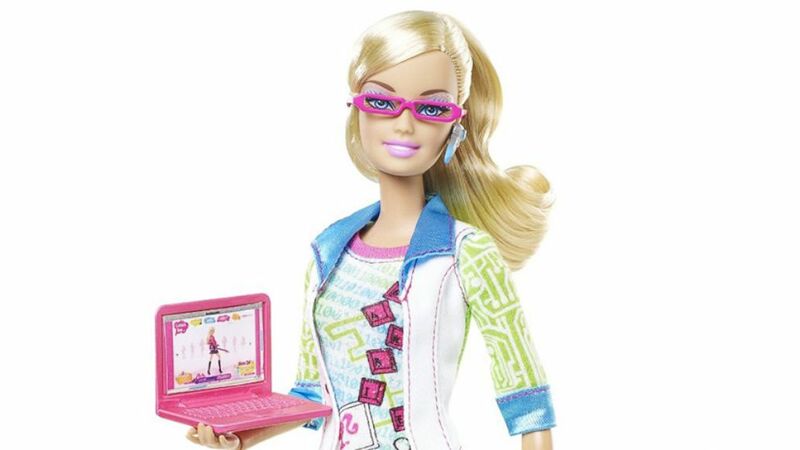 But Lori Pantel, vice president of Barbie’s global brand marketing, said, the “I Can Be A Computer Engineer" book was first published in 2010. The Random House Kids website states that the book was released July 23, 2013, and the publisher told ABC News Wednesday the book is now being discontinued, though offering no explanation. (Random House) A page from the book, "Barbie I Can Be A Computer Engineer". After writer Pamela Ribon blogged about the book, one Amazon reviewer called the story a "sexist rant" that "tells girls they CANNOT be computer engineers." Other Amazon reviewers criticize Barbie for failing to know how to reboot her computer or protect it from a virus. When Barbie's male friends come to the rescue, the story states, "'It will go faster if Brian and I can help,'” Steven offers. “I think they’ve misdirected their anger to some degree,” she said. She said she’s surprised her editors at the publishing company in Denmark, a country famous for supporting the equality of women, did not catch overtones of sexism in the story. “No one does this maliciously,” she said. The story, which costs $4.08 on Amazon in paperback bundled with the "I Can Be an Actress" book, is rated with 1.5 out of five stars from 116 customer reviews. Proponents of encouraging women in science, technology, engineering and mathematics (or STEM) say the message in the book can discourage girls in those fields. One Amazon reviewer wrote, "All the work that women in STEM [have] done to overcome the misogynistic stereotyping has been set back by this book. “The author of this book has a female name but I cannot fathom the author is female. I am almost always against censorship of a book or piece of art but Amazon please pull this books from the shelves." The book appears to be a step back from the portrayal of successful women, such as "Entrepreneur Barbie," which was introduced in June.